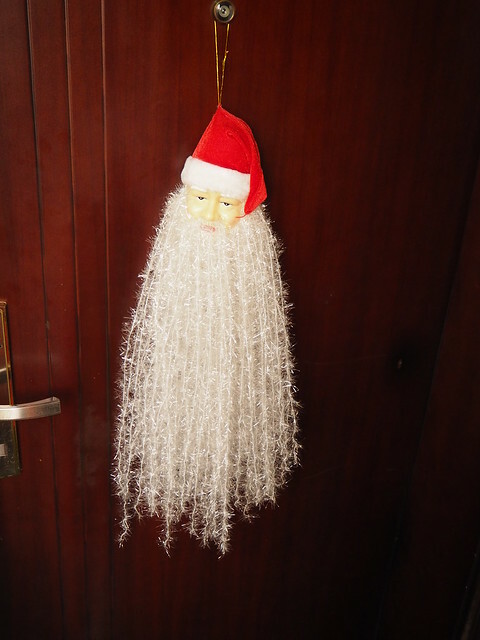 Disembodied Father Christmas head, nailed to the door of my room in the Starfire Hotel, Lagos. A terrifying warning to others? Oh my lord, where has this month gone; where has this year, decade, century gone? As a child I remember being enormous alarmed when my parents explained to me that as I got older, I would experience time moving faster and faster, and I am equally alarmed now that I am an adult to find that they were absolutely right. On one hand I am only 36 and (barring incident, accident, misfortune or stupidity) likely to have a good many years in front of me; on the other hand they are flashing by like lightning and I WILL SOON BE DEAD and what does it matter anyway, as soon after that (in the great scheme of things) our earth will be nothing but a cinder orbiting the burned-out void of what used to be our sun? &c. &c.
On that cheery note, happy new year! 2014 has been a wonderful year for me personally, and an absolutely calamitous one globally (and for many of the people I hold dear). 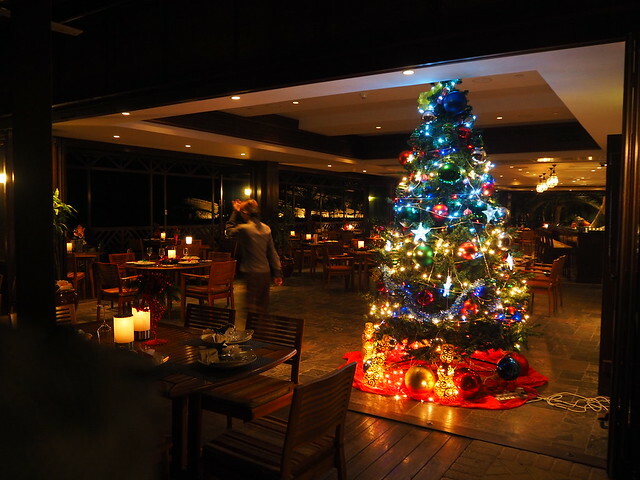 I hope that 2015 will be kinder to all of us. For the record, here is my complete list of books read – and where I read them – in 2014. Those marked with an asterisk have been my favourites, though that’s not to say that many of the others weren’t also excellent.